This short and easy Nagarkot Trekking Day Hike is a wonderful journey of nature, through the outskirts of the Kathmandu Valley. Nagarkot is famed as a nearest view point of Mt. Everest along with stunning mountains range from Kathmandu. You can explore the hills of Nepal, countryside traditional local village life, People, mixed cultures, farming and much more within this short excursion. We start our excursion with drive from Kathmandu to Nagarkot. From the outstanding Hill top of Nagarkot we will see the spectalcular views of the Himalayas. Then we will descend through forest and villages to oldest temple in Kathmandu “Changunarayan Temple”, which is another UNESCO Heritage site of Nepal and then drive back to Kathmandu. This day hike is suitable for people of reasonable fitness and is not difficult. Day 1You will be picked up from your hotel at 8am. 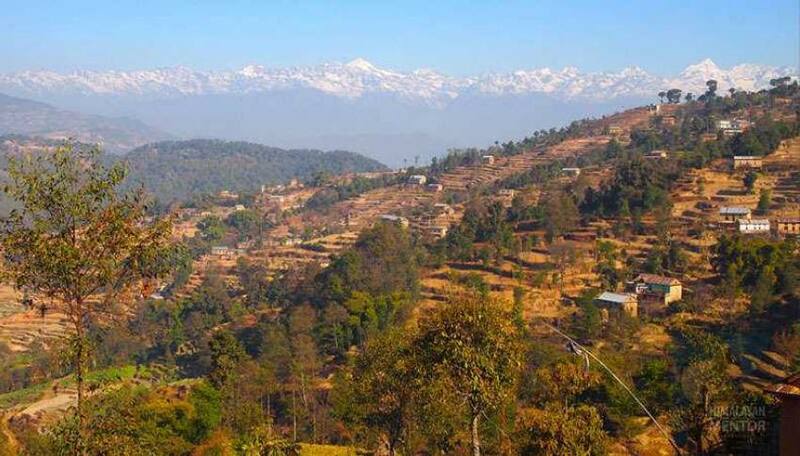 Our day starts with one and half hour drive to Nagarkot Hilltop at 2100m where we stop for superb view of mountain range include Annapurna range, Manaslu range, Ganesh himal range, Langtang range, Jugal range, Rolwaling range, Mahalangur range (Everest range) and Numbur range with views of the Kathmandu valley and Shivapuri National Park. From here we start the hike descend gradually through the terraced fields, forest and local Tamang village. The traditional houses are built with local stone and mud by local craftsmen. First we hike through primarily an attractive culture and tradition then the trail becomes more natural as it follows the ridge rich in deciduous forest. The Himalayas emerge in the distance totally isolated and peaceful. It's an easy gradual downhill walk on fairly level paths. It's approximately 4 hours to Changunarayan, the oldest pagoda style Hindu temple in Nepal. After having our lunch we explore the UNESCO World Heritage Site Changunarayan Temple. This shrine is dedicated to Lord Visnu and held in special reverence by the Hindu people. This temple is considered to be the oldest temple in the history of Nepal. Once experiencing the fascinating day hike in Kathmandu from Nagarkot to Changunarayan, we complete the day tour with a vehicle ride back to Kathmandu.